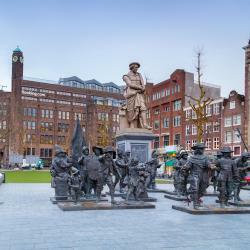 Looking for hotels near Van Gogh Museum? Concert Hotel is less than 300 yards from Museumplein, with the Van Gogh Museum and famous Concert Hall. This hotel features free Wi-Fi, a 24-hour front desk and a patio. Great find and the staff was AMAZING!! Apollo Museumhotel Amsterdam City Center is in the center of Amsterdam, where the fashionable PC Hooftstraat joins the charming Stadhouderskade. Guests can benefit from the 24-hour breakfast service. It is a great location. The staff are very helpful.Great rooms and service. The Atlas Hotel is only a few minutes away from the van Gogh Museum and Rijks museum. Located on the edge of Vondelpark you have a 10 minute walk to the Leidseplein (entertainment area). Helpful & sincere staff, location, comfort, beautiful building, value for price. Hotels with great access to Van Gogh Museum! The museum was well done and it was easy to get close to the paintings. Photographs never do them justice. I would suggest going on a guided tour for the history of the artist's difficult life and to help understand the development of his art throughout his short years of painting. 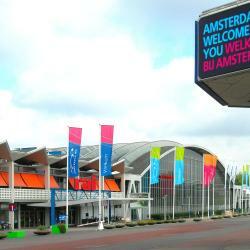 Reserve a timed ticket before you go - you can do so online or through the iamsterdam.com site. It's difficult to get through the lines otherwise. Would recommend reserving a time before 10AM if possible, as the crowds can get thick. Also, the cafe is a delight. We were excited to see this beauty with our own eyes. We were excited to see this beauty with our own eyes. You can't appreciate the sparkle of the "Sunflowers" from a reproduction! (Note: Tickets can be obtained only ONLINE and you should reserve them at least on the day before your visit - this might depend on the season). Take the audio tour and be prepared to spend about two hours there. This is one of the best museums I have ever been to. They have a very broad selection of Van Gogh’s works spanning his entire career. And the tour provides a lot of very surprising details about his life and excerpts from his letters concerning the painting techniques he was using. Over crowded by tourists. Paintings were exhibited in the dark or dim light so that it's difficult to read the caption next to each picture, especially when you tried to acccess as close as posible to read it among crowded. Confusing floor plan to walk around to see all the highlight ones. The self-guided audio set didn't help navigating you to move on to the next direction. If you want to be peacefully enjoy arts in this museum, prepare at least 3-4 hours. You had better like Van Gogh. You had better like Van Gogh. The huge Modern Art museum next door has a wide range of interesting conteporary art. The Moco museum had a Banksy and Lichtenstein exhibit when i was there...lots if great art museums to choose from. People are talking about Van Gogh Museum! Explore guest hotel reviews featuring "Van Gogh Museum"
Beautiful apartment with huge windows looking at a lovely street, clean, spacious (except the bathroom, which was old world tiny:), it didn’t bother us, it was just funny). Full kitchen. Eric is a very helpful and friendly host. The location was the best in our view, especially for visiting museums, basically a short block away from the Van Gogh museum. The canals are still within a walking distance or you can take a tram. The staff at Hotel Fita is extremely friendly and helpful. The breakfast is delicious and such a nice way to start our day. The location is perfect because it's on a quiet street in a nice neighborhood and so close to the Van Gogh Museum. Continental breakfast was awesome as well as the snacks upstairs. Location put us in walking distance of everything we wanted from the Van Gogh museum to the Red Light District (which was underwhelming). Staff was great! A great little hotel in a good location. Walking distance to everything (20 minute walk to the Van Gogh Museum). Staff was really friendly and helpful. I would definitely recommend this hotel! it's close to tram station and metro station. From the hotel to Van Gogh Museum is only 15 minutes walk. The lady at the reception is very friendly. The room is comfortable. The location is excellent. Easy to get there from the airport by bus 397. The Rijks and the Van Gogh Museums are 5 minutes away. 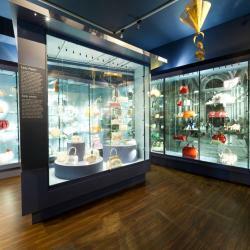 Rijksmuseum is one of the most important art museums in the world. You can't miss it. 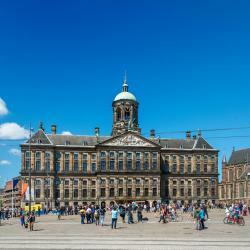 You also have the Van Gogh Museum and the Anne Frank house, which is a great experience. I liked the Van Gogh museum and the Anne Frank House. They are a must go!!! A cruise by the cannals, a visit to the Van Gogh Museum or going to the many festivals that the city can provide. The Van Gogh Museum is small enough to get around in one day or the Rijksmuseum for a wider variety of subjects. Observing the coordination of bikes, cycles, cars, buses, trams, pedestrians...it was all so interesting. The ride on the canal was beautiful...the structure of the city and how it all comes together. The visit to the Van Gogh museum to see the work of one of my favorite artists.